If you suffer from diabetes or another endocrine disorder, you know how important weight loss is to manage your condition and control your symptoms – and how difficult it is to achieve. While there are plenty of diets that promise to help you drop pounds, are you losing the right type of weight? Diabetes and Endocrinology Associates of Stark County, Inc. is proud to offer a nationally recognized, physician-supervised, revolutionary weight loss program that helps you maximize fat loss while preserving muscle. The medically sound, evidence-based, and affordable Cornerstone Wellness weight loss program uses proprietary technology developed at the University of Southern California School of Medicine to create the most accurate measurement of your body fat, muscle mass, and metabolic rate in order to customize your diet plan to produce long-term results. The weight loss program utilizes a combination of exercise, dietary changes (including meal replacements), supplements to boost metabolism and decrease inflammation, and regular monitoring to the determine the effectiveness of your efforts to date. This revolutionary approach to weight management is only available at your doctor’s office. For patients looking for a “better control with fewer meds” approach to diabetes management, look no further. This program will help improve your overall health and energy while lowering the risk or intensity of diabetes symptoms as well as blood pressure, heart disease, sleep apnea, and more. At your initial evaluation, you will meet with Dr. Krishna for a physical exam and review of your medical history. He will measure your body composition (body fat and lean body mass), which will be used to calculate your resting metabolic rate, determine the calorie requirements for your meal plan, and customize your weight loss program according to your goals. You will visit our office for a 15-day follow-up, followed by monthly visits until you have met your weight loss goal. At each visit, your wellness coach – a registered and licensed dietician, certified diabetes educator, or nurse practitioner – will meet with you to provide support, feedback, and behavioral education. Your coach will also re-test your body composition and metabolic rate to track your fat loss and adjust your plan as needed. If you are an established patient of our practice, Dr. Krishna will also adjust your medications for diabetes, hypertension, hyperlipidemia, etc., as you lose weight. If you are not a patient of our practice, you are still welcome to join the program. Your primary physician and other established physicians will continue to manage your other medical conditions and medications, with regular feedback from Dr. Krishna about your weight loss progress. 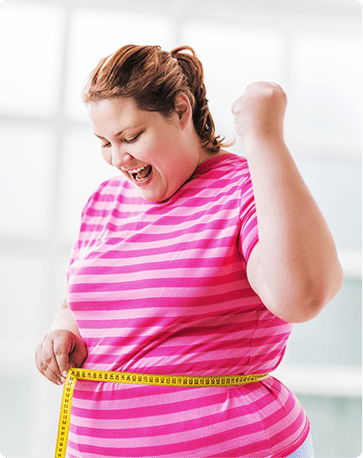 For more information about our weight management program, call Diabetes and Endocrinology Associates of Stark County, Inc. at (330) 493-0013 or let us know about your interest by completing our convenient appointment request form.